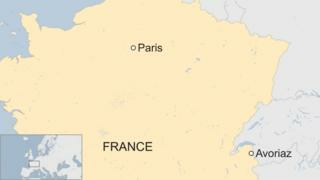 A 12-year-old boy has died after falling off a cliff near the ski resort of Avoriaz in the French Alps. The boy and his 10-year-old brother, who were on a skiing holiday, went down a mountain and strayed off-piste for an unknown reason on Saturday. They appear to have got lost, removed their skis and entered a forest, before falling off a 150m (500ft) cliff. The two were found by rescuers overnight. The elder boy died but his younger brother survived. 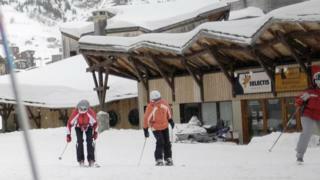 According to LCI news website, the two French boys went up a ski lift with their father and sister on Saturday afternoon. The father decided to take his six-year-old daughter down a slope and allowed the boys to return on their own, it added. When they failed to return to the resort, the father alerted police. Rescuers eventually found the boys’ skis by the side of a mountain road. Footsteps in the snow led them to a nearby forest, and a cliff hidden by the trees. The two boys were found at the bottom, around 04:00 local time. The elder died of his injuries. His brother’s fall was slowed by tree branches, Stéphane Bozon of the police mountain unit told Le Parisien newspaper. The boy is being treated for shock and a broken pelvis.